As the family continues to grow and space begins to seem like it’s at an increasing premium in your home, you may be looking at ways to take advantage of additional unused space. 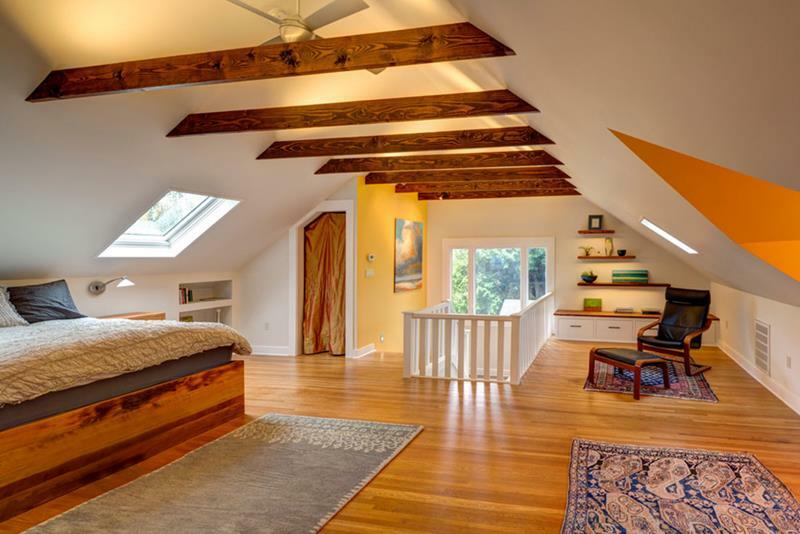 If so, then one way you can definitely get more out of your home is to convert an attic space into a beautiful master bedroom or master suite. 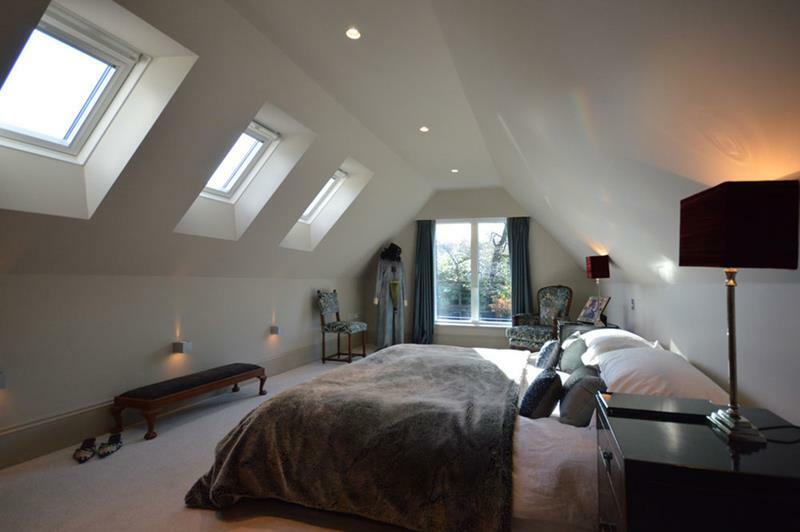 Of course, designing a master bedroom in an attic is a little more complicated than it would be elsewhere in the home. You’ll have the roofline to compete with, and you’ll have to think carefully about how things are laid out and designed. That’s why we thought it would be fun to share 15 absolutely inspiring attic master bedroom designs. Whether you’re looking for an idea that’s luxury through-and-through or looking for something that can work on a budget, there’s plenty of inspiration to be had here. 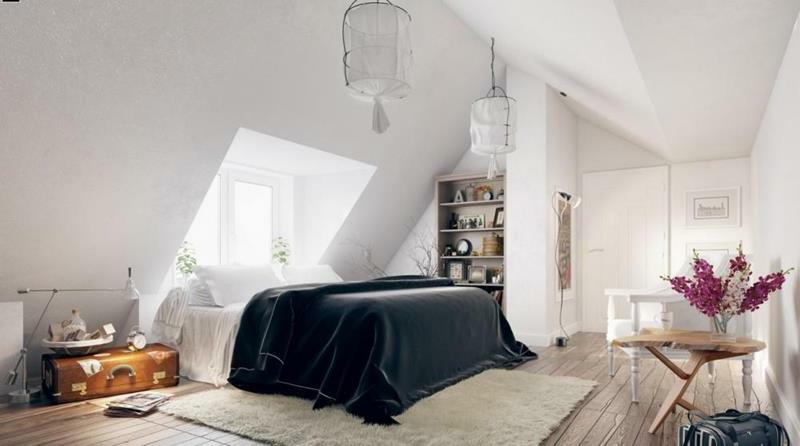 So, let’s take a look at 15 beautiful attic master bedroom designs that you’re sure to be impressed by! By pairing up a blue and white color scheme with black and white linens and a throw rub, this attic master bedroom achieves a very chill vibe. With ceiling clearance low, you’ll want to go for low profile furniture to make the room more comfortable. Also, check out how those skylights completely change the feel of this space. 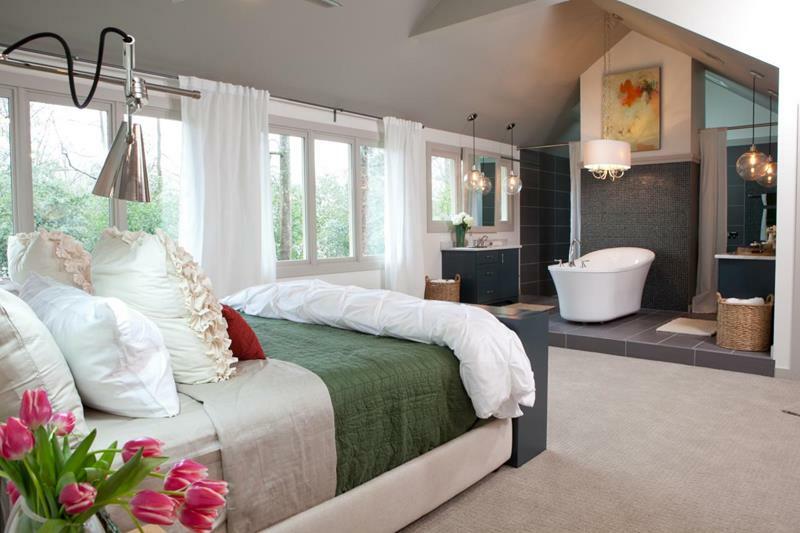 Why not go “completely different” when building your master bedroom in the attic? This home owner decided to leave the master bathroom exposed, which totally creates a unique look. If the head of your bed is underneath an angled ceiling, you’ll likely need to develop a unique solution for bedside tables. Check out what they did here! 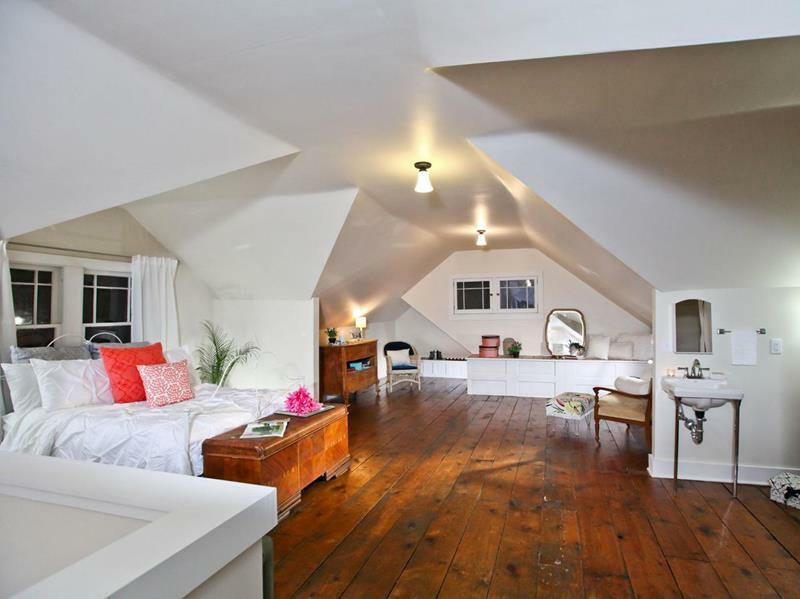 In many ways, the shape of your attic space will determine how it’s used. Note how this design makes maximum use of the ceiling lines to ensure that the bedroom feels open.